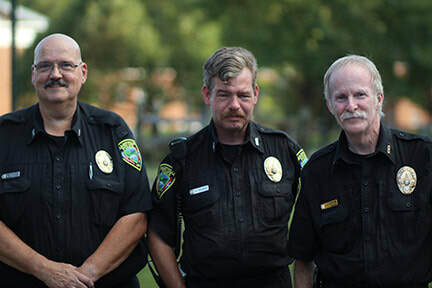 ​Maryville Animal Control is a division of the Maryville Police Department and is responsible for the welfare of animals within the city of Maryville. Animal Control officers provide field services seven days a week. These services include pet adoption, nuisance wildlife removal with humane live traps, complaint investigation, quarantined animal monitoring, stray animal pick-up, city parks patrol, citations, court appearances, and issuance of pet licenses. Partnering with local animal welfare organizations, the city of Maryville is pleased to offer adoption services for animals who are available after a waiting period. Animals under the care of Maryville Animal Control may be adopted out after the fifth day provided the owner of the animal is unknown or has failed to come forward to claim his/her animal. Each fee includes having your new pet spayed or neutered and a one-year rabies vaccine. ​Special thanks to the Maryville Alcoa Animal Rescue Center volunteers for their efforts in finding our animals their forever homes. Animal Control loans out traps to city residents who need to catch a stray or wild animal. ​For more information please contact the animal shelter at 681-2241. To keep wildlife from becoming a nuisance at your residence, do not leave food/ water outside and keep trashcan lids secure. Other deterrents include leaving in the problem areas rags soaked in ammonia, mothballs, or cayenne pepper. Recently, citizens throughout Blount County have noticed raccoons that appear to be acting strangely - walking in circles, lying on the ground, some even appear to be foaming at the mouth. While most of these animals have been found in the greater Blount County area - one has been trapped in Maryville. Animal control experts have determined the issue is distemper in the cases tested to this point. Distemper is not transmittable to humans, but people should not go near raccoons and instead call the non-emergency dispatch line (865) 983-3620. City of Maryville Municipal Code 91-16 requires that all dogs and cats be licensed in order to protect the general health, safety and welfare of all persons within the City. By enforcing licensing we are ensuring rabies vaccinations. If your dog is licensed and becomes lost, having their current license tag on guarantees a phone call to the owner from Animal Control. It is very important to keep our office updated with address and phone number changes. You do not need to bring your dog or cat in to get a pet license, just the rabies certificate and the sterility certificate if it applies. Licensing helps ensure pets will be reunited with their owners. ​Permitting a dog or cat to run at large is a violation of Maryville Animal code section 10-203: “Running at large prohibited.” If at all possible, follow the dog/dogs home. Then, notify Animal Control either with a written statement or a phone call (leave a phone number) and an available officer will contact the dog’s owners. If the dog is a stray, Animal Control will attempt to capture the animal and find a home for it. Seek appropriate medical care if bitten. State law requires bites be reported to the local animal control authority. ​Contact us as soon as possible. 681-2241 business hours; 983-3620 after hours dispatch. Attempt to get the correct address of the animal in case quarantine is necessary. Call us immediately if the animal is running loose. Contact us as soon as possible. 681-2241 business hours; 983-3620 after hours dispatch. ​Animals in distress may bite. Please protect your safety first, then care for the domestic animal. Do not approach wildlife. Dead animals on public roads, sidewalks, parks, etc. may be picked up by our Engineering & Public Works Department. Please call 273-3302 to report. Maryville Code Section 10-205 states that, “It shall be unlawful for any person to keep or harbor any dog which, by loud and frequent barking, whining, or howling disturbs the peace and quiet of any neighborhood.” We realize the annoyance that a barking dog in the neighborhood can cause and we are available to assist you with its correction. However, Animal Control also realizes that dogs do bark from time to time for a variety of reasons. ​Please be advised that certain legal procedures must be followed including that you and others siding with you regarding your complaint must be willing to appear and give testimony in any legal proceedings. In addition, the dog owner must be afforded due process in any such legal proceedings. The criminal process may not be the best solution or the most expeditious manner in solving the barking problem so the Police Department strongly encourages citizens to make every attempt to resolve the problem through personal contact with the dog owner. To report: call the after hours dispatch 865-983-3620 or Animal Control 865- 681-2241. If an Animal Control Officer is not available, the Dispatcher will send a Police Officer to investigate your complaint if one is available.